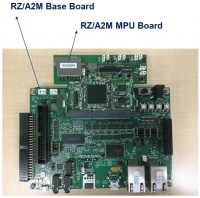 The GR-PEACH is an mbed platform with an RZ/A1H and a single QSPI Flash device. 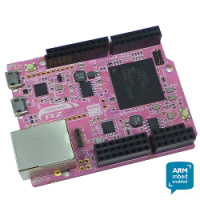 While it was intended to be used with the mbed cloud development environment, the board itself can be loaded with Linux, and particularly XIP Linux (since you only have the 10MB of RAM inside the RZ/A1H). The Stream it kit is intended to showcase the graphics and image capture capabilities of the RZ/A1L as well as 3rd party middleware (non-OS and RTOS). However, the board can be used to run XIP Linux as well. 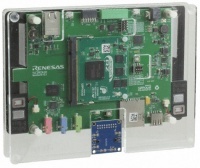 The High Resolution Embedded GUI Solution Kit is intended to showcase the graphics and image capture capabilities of the RZ/A1H as well as 3rd party middleware (non-OS and RTOS) using a 1280x800 LCD display. However, the board can be used to run XIP Linux as well.